Who gets ‘developed’? The diversity question: who is and isn’t able to become a professional artist, and how can we change that? I was born in a South Wales ‘sink’ estate in 1984 the year of the miners strike. My mother a single mum with three children, worked hard. Life was fun but also tough for me and the community I grew up with. In 1994 John Redwood the Welsh Secretary of state launched a pointed attack on St.Mellons brandishing it one of the biggest single mothers estates in Europe and vilifying the community. This had a profound effect. It created a culture around me that felt designed to hold me back. I was fortunate to go to University and was the very first in my family. I had a loan, access to an overdraft and I felt safe that I’d never earn over the threshold so I’d never have to pay it back. 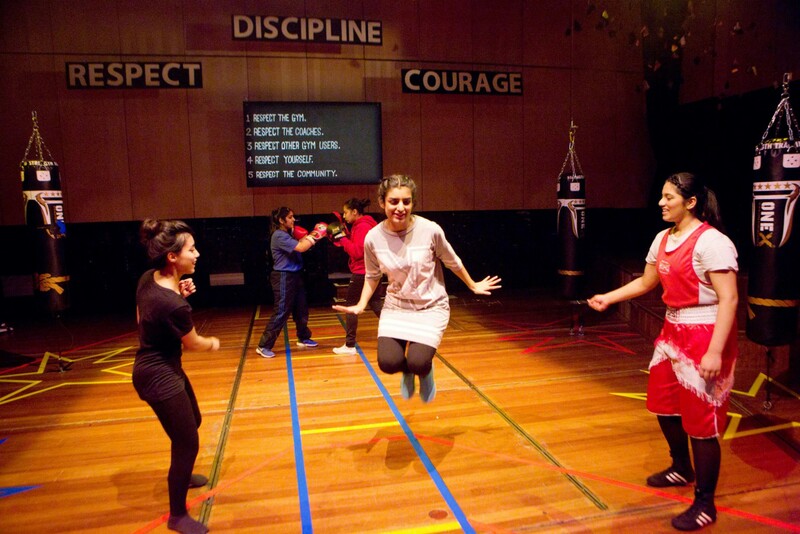 In 2008 we set up Common Wealth as a response to the arts, in this case theatre, becoming less accessible and relevant to working class people. I was working in a theatre at the time and I was sick and tired of how it felt like we were providing for only a privileged elite. Theatre managers often come from public school backgrounds and anything seen as for local communities was considered to be of low value, was underfunded and little more than a tick box exercises for funders. We set up Common Wealth with persistence. Nobody taught us how to do it, we learnt as we went, took risks and acted like we knew what we were on about. Taking risks was essential, working less and committing more of myself to finding time to make new shows. Setting up a theatre company was exciting but it was also a massive risk – I had to give up my job and go onto job seekers and I swear without jobseekers I would have never been able to do it. What’s terrifying is that that would never happen today. As a young working-class woman I’ve always been aware and unsure of where I belong in the arts world. This is a source of tension to me as an artist, as a director. I’ve been thinking that if someone in my position feels like an outsider then how can it be a source of inspiration for the next generation of working class artists working in, and shaping, the arts? Recently I’ve been working in Merthyr Tydfil in the South Wales valleys. I’m working with an incredibly dedicated and motivated group of men who are unemployed, receiving benefits. It’s been difficult for them to volunteer for fear of the job centre finding out and stopping their claims. These guys are hungry for art, they get it and what’s more they value it. A structure designed to hold them back. Recently I also asked a 19-year-old from Merthyr if he thought he had what it took to be a leader. His reply was ‘ I have what it takes but I can’t because of where I come from’. This has become a mantra I have heard to often. A structure designed to hold us back. However if he was an artist imagine what he could teach us about the world. So how can we push for change in an industry that undervalues and distances itself from working class people, culturally, social and economically. How can opportunities for inclusion be opened up and how can theatre development support those who are unable to take risk. Why has it become increasingly difficult for arts organisations to reach people? And why are we not seeing more work created by and for people who are working class. So what is our response as people, as artists, as theatre makers, as organisations? How do we change a system that is frankly inaccessible. We talk about community, diversity and inclusion all the time and what I’d like to see is some clarity around what these words mean and in what context are we using them. If theatre is truly meant to belong to everyone what is it that we need to change and how do we begin as artists, as makers, as organisations to include everyone in this conversation. How can we challenge those structures that are designed to hold us back? Previous Post« No Guts, No Heart, No Glory on BBC4 !